Board Members - The JL Foundation, Inc.
Mr. Lowe has been in the financial services industry since 1999. He specializes in Independent Financial Services and Wealth Management through LPL Financial. Mr. Lowe started his career at Moors & Cabot Inc, before joining Wheat First Securities. Working at Wachovia for five years, Mr. Lowe partnered with a team that specialized in working with international organizations such as the World Bank, the IMF – International Monetary Fund, and the OAS – Organization of American States. In 2005, he left Wachovia and joined Ryan Beck which later became Stifel Nicolaus. In August of 2009, Mr. Lowe joined XML Financial Group, a wealth management firm located in Rockville, MD, which works with individuals, corporations and non-profit organizations. Mr. Lowe sits on the Community Leadership Board for the American Diabetes Association Washington, DC. He is the founding member and Chairman of the Board for the TJ – JL Foundation Inc., a local 501c3 raising money and awareness to combat diabetes. Jon is an active member of the Montgomery County Chamber of Commerce. Mr. Lowe is a board member for the C.L.A.Y. Foundation, a non-profit organization helping to prevent child drowning. Jon sat on the board for JUST TRYAN IT (helping kids with Cancer). Mr. Lowe volunteers regularly for such groups as the JDRF – Juvenile Diabetes Research Foundation, The DRWF – Diabetes Research Wellness Foundation, the Joslin Diabetes Center, and SOME (so others may eat). Jonathan’s a parishioner at Holy Redeemer Parish and is an active member of the Knights of Columbus, Rock Creek Council. Jon attended East Carolina University, concentrating his studies in Business and Finance. Jon resides in Kensington, MD with his family and spends his spare time being a dad, coaching and playing sports with his kids. 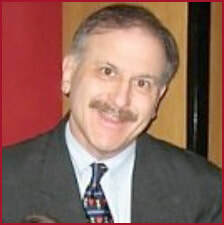 Dr. Harold Silverman has been practicing health care, public affairs, and communications since 1987. He is currently an author and has operated a medical/scientific affairs consultancy in Silver Spring, MD since 2002. Dr. Silverman’s range of experience includes regulatory, legislative, and corporate issues as well as crisis counseling, working with the media, developing presentations and congressional testimony training. He also has extensive experience in product promotion as well as scientific and educational program development for the pharmaceutical/medical device industries, professional associations, and government entities such as the National Institutes of Health. Dr. Silverman’s regulatory and issues experience includes health care reform, conflicts of interest in medical research, drug utilization reviews, and FDA reformation. He has been counsel on new drug approvals and has worked on other issues of direct interest to pharmaceutical, device and health care clients. He has designed and supervised marketing communications programs and counseled many clients on preventing and managing a variety of different legal and other crises. Dr. Silverman has worked in a great many clinical areas including gene therapy and genomics, arthritis, cardiovascular medicine, oncology, pulmonary medicine, AIDS, anti-infective agents, antithrombosis, and medical imaging. Some specific activities performed on behalf of clients include research promotion, pre-launch and launch programs, post-marketing communications, continuing education symposia, sales force training, and FDA relations. Silverman was the principal external consultant to Sanofi and Bristol Myers-Squibb for their Plavix (clopidogrel) FDA CardioRenal Drugs Advisory Committee meeting preparation. Dr. Silverman was Medical Director and Senior Vice President at Manning, Selvage & Lee, Vice Chairman of InterScience, (a global healthcare public affairs consultancy), and was Senior Vice President at Hill and Knowlton in Washington, DC. He has been president of the National Association of Pharmaceutical Manufacturers, an association of generic pharmaceutical companies and director of technical services at Bard MedSystems, a Division of CR Bard. Chris is founding member of Counselors Title, LLC and a principal in the law firm of Pardo & Drazin, LLC (formerly Darby, Nalls, Smyth & Muldoon, LLC). Prior to founding Counselors, Chris served as a settlement attorney, office manager and the director of D.C. operations for Universal Settlements. 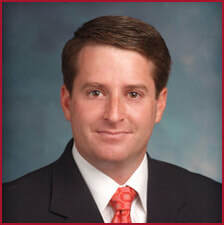 A native of the Washington area, Chris entered into the title business in 1998 after receiving his law degree from the University of South Carolina. He is a member of the District of Columbia and Maryland Bar Associations and enjoys teaching continuing real estate education courses for Realtors®. Chris is also an active member of the local real estate community with service to and membership in the D.C. Land Title Association and the Greater Capital Area Association of Realtors (“GCAAR”), where he has served on the Contract and Clause Committee since 2001. Chris was honored by GCAAR as its 2007 Affiliate of the Year for his service to the real estate community. Chris’ claim to fame is being dad to Ryan and his two brothers, Brennan and Sean and husband to Megan .Chris and Megan are happy to be living where they grew up and giving back to our community. Also a board member of JUST TRYAN IT (helping kids with cancer), and a St. Jane de Chantal parishioner, Chris is happy to be living where he grew up and giving back to our community. Kathleen grew up and still lives in Kensington, MD. She graduated from Holy Cross Academy and has A.A.’s in Culinary Arts, Hospitality Management & Marketing. 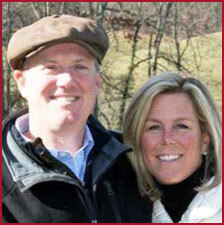 Kate worked in the mortgage division of Chevy Chase Bank, now Capital One, for 6 ½ years. In January 2011, she partnered with her sister and formed VKL LLC, specializing in book keeping for restaurants, small area businesses and most importantly the Tommy Joe’s – Jon Lowe Foundation. Tom and Kristin O’Keefe live in Bethesda with their two sons, Ryan (8) and Owen (7). They joined the TJ-JL Foundation after Ryan was diagnosed with Type 1 Diabetes in January, 2012. Tom is a graduate of Gonzaga College High School (Class of 1988) and James Madison University. He is currently an AVP for Prosperity Mortgage and enjoys coaching Maplewood Football in his free time. Kristin is originally from Manhasset, NY. She attended Loyola University in Baltimore and earned her MBA at the University of Maryland. 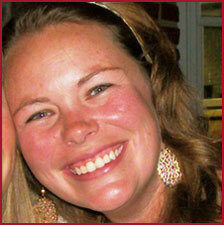 Kristin is a former marketing professional who now enjoys being a stay-at-home mom and volunteering whenever possible. Kevin and Karen Carlsen live in Kensington, MD with their daughter Grace (11), and son Billy (8). They joined the TJ-JL Foundation after Billy was diagnosed with Type 1 Diabetes in August, 2012. 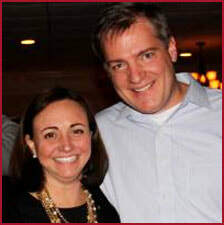 Kevin is a graduate of The Bullis School (Class of 1988) and The University of Maryland. Kevin works for Dell’s Global Commercial Channel as a Channel Account Manager. Kevin spends free time volunteering as a member of the Knights of Columbus, Rock Creek Council, and coaching lacrosse. Karen is a graduate of Walt Whitman High School (Class of 1987) and Greensboro College in NC, where she received a BS in Psychology and sociology. She now enjoys her job as homemaker and volunteer; and she enjoys spending time with her family.